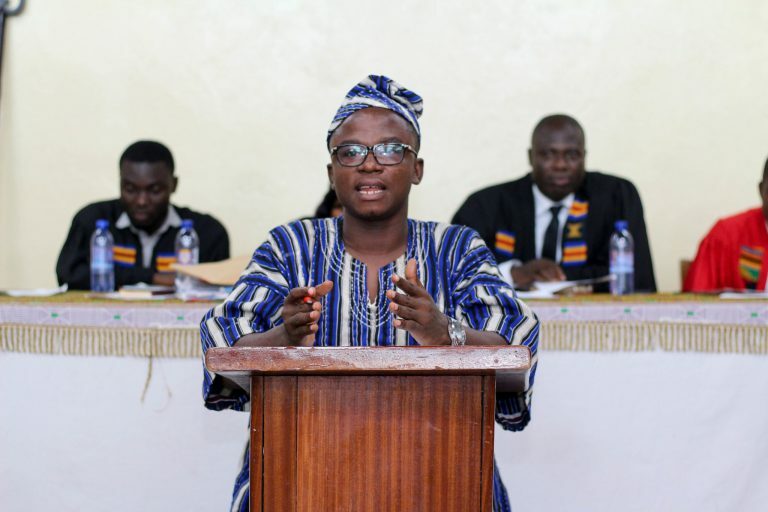 Mr George Sarfo President of GRASAG, UCC has assured Sandwich Senators of his readiness to provide comprehensive and transparent all inclusive programmes aimed at enhancing both the academic and social lives of students while on campus. 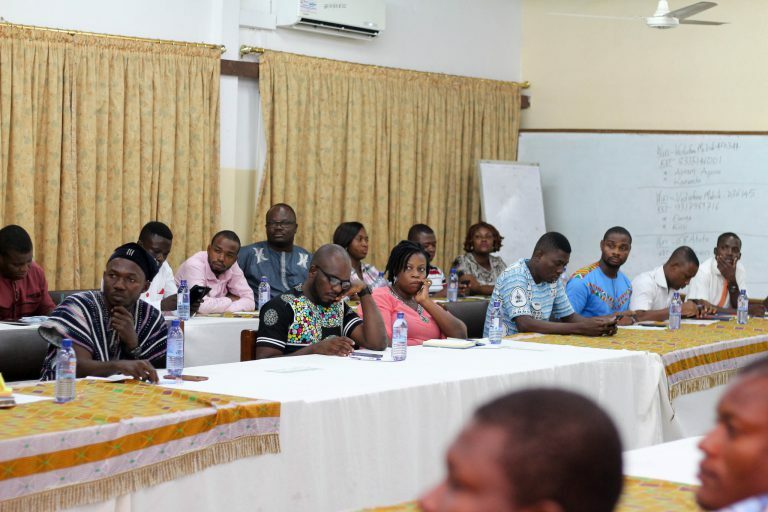 Mr. Sarfo gave the assurance while addressing senators at a senate meeting held on 29th June 2018. 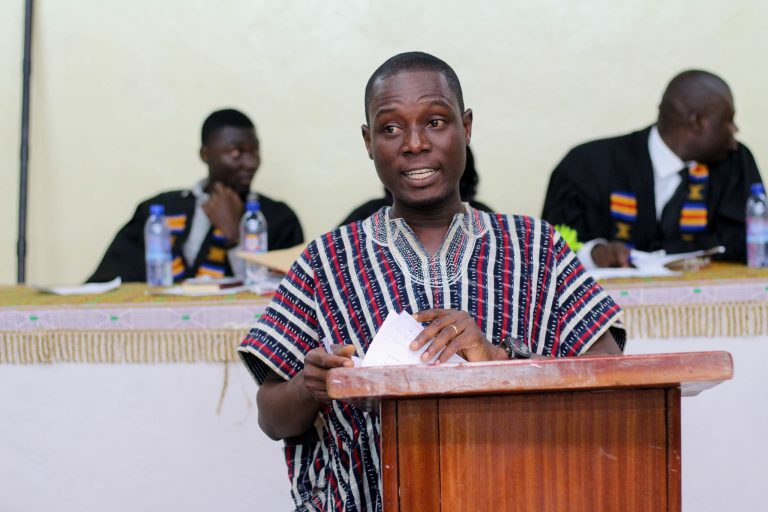 Speaking on the floor of the house, Mr Sarfo gave a detailed programme outline earmarked for the semester with specific attention to students’ acquisition of souvenirs and preparations towards the Sandwich finalist dinner. According to him, as the tradition has always been, the Sandwich dinner would be reserved for only final year students. 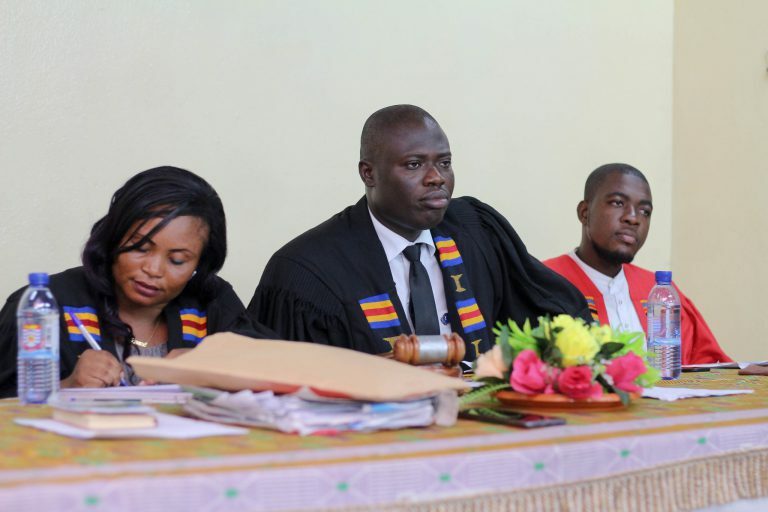 Addressing the house on the issue of souvenirs Mr. Sarfo explained that apart from the UCC clothes which were not part of their fees, all other souvenirs, that is, a lacoste and a lapel pin will be made available in due course. Mr. George Sarfo, President of GRASAG UCC addressing the house. The former Chief Justice, Justice Elijah Osafo Amoako who presided over the constitutional review committee of the Association also appeared before the house to brief them on the necessary amendments that have been made to the constitution. The meeting was also used to elect a new Secretary for the Sandwich Senate. Madam Joyce Fynn an M.Ed Vocational and Technical education student was elected finally by majority vote cast and was subsequently sworn into office by Chief Justice, Kennedy Etsey Dogbey . She is the first to assume such position as the secretary for the Sandwich Graduate Senate. From (L-R) Madam Joyce Fynn (newly elected Senate Secretary), Rt. Hon. Senyo Agyeman (Senate Chair), and the Chief Justice, Kennedy Dogbey. The Budget for the semester was also presented and subsequently approved by the house.